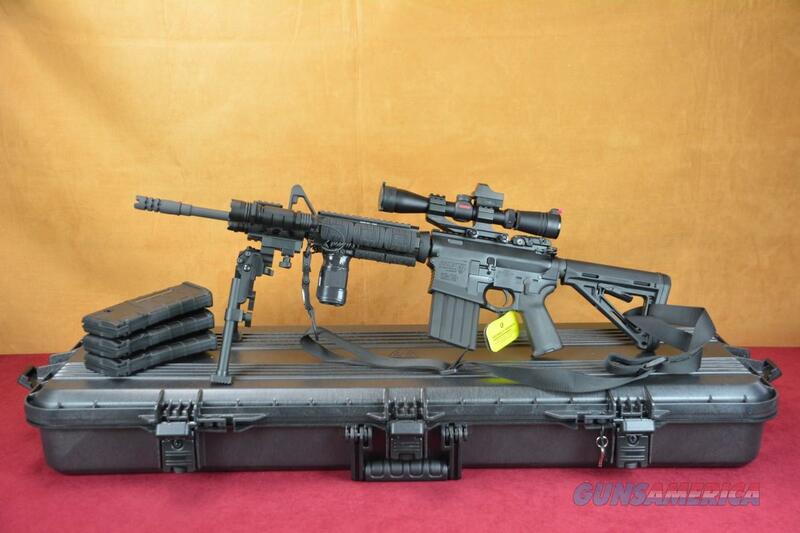 Description: Revolutionary improvements make the DPMS GII the most reliable, longest lasting MSR platform on the market. DPMS G2 Key to this are: an all new elastomer extractor spring, new extractor material, dual ejectors, and a steel insert feed ramp. These components fundamentally change the way the conventional MSR functions. DPMS AR 10 THE MOST CONSISTENT, EFFICIENT, AND RELIABLE EXTRACTION AND EJECTION PATTERN OF ANY MSR!! LIGHTER AND MORE RELIABLE THAN EVER. DPMS AR 10 RIFLE SIMPLY FEELS BETTER WHEN YOU PICK IT UP. The heart of the DPMS GII is a matched pair of forged, level III anodized, Teflon* coated 7075 receivers, providing improved strength and durability. With the advancements in the forging, feed ramps and bolt geometry, the DPMS GII has a shorter overall receiver length, as well as a reduced receiver diameter. Forged upper and lower receivers are contoured to be more ergonomic. Compact design is both lightweight and only 1/2” longer than a 5.56 MSR receiver, 5/8” shorter than the current LR-308. Lower receiver incorporates integral trigger guard and accepts any standard MSR pistol grip. Reduced mass carrier provides smoother, softer recoil impulse than the GEN1 .308. REDUCED MASS, FORGED, MONOLITHIC BOLT CARRIERWITH FORWARD ASSIST New lightweight, forged, monolithic bolt carrier utilizes an integral gas key tower and removable gas key extension. The beveled mag well provides a comfortable grip for those that prefer a mag well hold and also aids in quicker mag changes. An all new bolt geometry provides superior lockup and strength. The bolt geometry allows a smaller diameter barrel extension to be used, in turn allowing upper receiver to be smaller, reducing overall material and weight without compromising strength. Picture taken with a remote camera. TacOpShop is a Utah-based FFL Dealer specializing in Fully Loaded Tactical Rifles. The TacOpShop specializes in those tricked-out rifles you see at the gunshows, high-end gun dealers, and on internet sites, like this one, but can't afford because they're asking $3,000 for 'em. Most fellas want one if it wouldn't make a bigger dent on their budget than .50 BMG on steel silhouettes.